Programming Alert: “Countdown to UFC 163” premieres tonight on FUEL TV at 11PM ET (8PM PT on satellite). 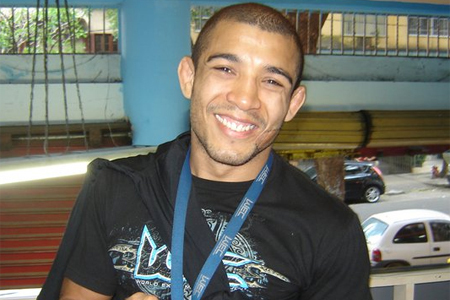 The documentary follows featherweight champion Jose Aldo (pictured) and “The Korean Zombie” Chan Sung Jung as they prepare for Saturday’s shootout in Brazil. Co-headliners Lyoto Machida and Phil Davis are also expected to make cameos in the show. UFC 163 takes place inside HSBC Arena in Rio de Janeiro.